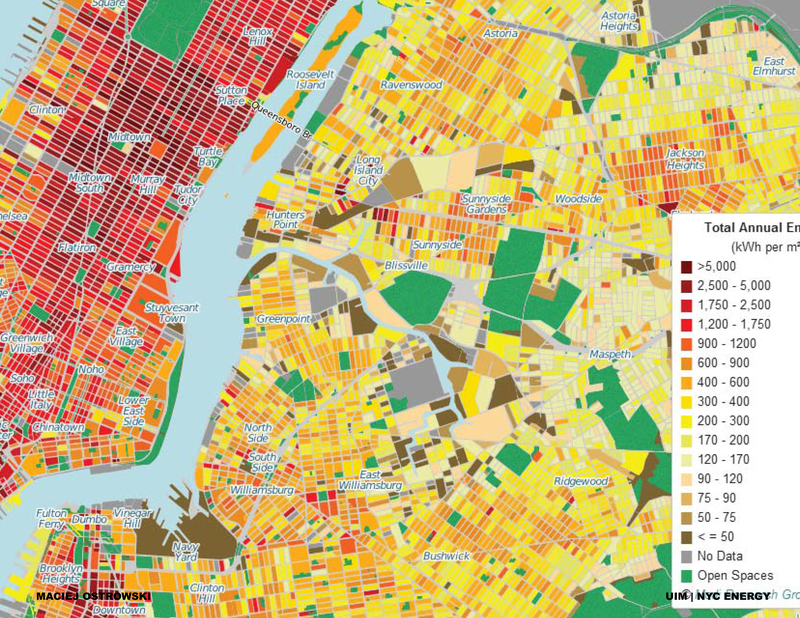 Earlier this month the Modi Research Group launched their project mapping project of New York City Energy Consumption. Presented by Professor Vijay Modi and PhD student Bianca Howard of Columbia University at the NorthEast Clean Heat and Power Initiative conference the interactive map represents the total annual building energy consumption at the block level and at a tax lot level for New York city expressed in kilowatt hours. This is static representation of data that will be used by New York City planners to make future energy policy under the Mayor Bloomberg. The map was made using a MapBox an online service to create the interactive mapping projects. As I try to take the idea of the New York Map and reactivate it by being linked to real time data for the City of Chicago. Does a block by block map of energy become useful to fight our energy consumption and is MapBox a good solution to create interesting interactive user interfaces to display data?